Description: Moving from Minnesota to Arizona was a big change for Sophie "Phee" Kimball. She's much closer to her mother's retirement community now--which can drive her a little crazy, but at least her mom, Harriet, has her book club and her chiweenie dog, Streetman, to keep her company. And now there's even more activity, with Aunt Ina's upcoming wedding. The seventy-four-year-old bride has roped Phee into working on the tent, the pastries, and even her headpiece in preparation for the ceremony. But it's Harriet who really gets demanding when a dead body turns up yards from her front door. Why I Picked This Book: I loved the first book in this series and couldn't wait to see for the 2nd book. My Impression: This is shaping up to be a pretty fantastic cozy mystery series. To start with I love Phee. She's smart and a good investigator though sometimes she doesn't give herself enough credit. Her family drives her crazy at least half the time but still she can't tell them no. Plus, her dealing with Arizona heat after years of living in Minnesota was pretty funny. I really enjoyed seeing Phee and Nate starting their new PI business and just really enjoyed their interactions. Their friendship was something I really enjoyed in the previous book and it hasn't changed. The mystery was equally enjoyable. It made me very glad that I am not planning a wedding as I could feel Phee's stress levels as she tries to keep everyone happy, help her aunt out, AND do her job. However, it never feels convoluted or busy. Little by little more and more is discovered about the victims and just what happened to them. While I had some suspicions as to what was going on I never felt like I had guessed what was happening and the reveal ended up being a surprise! This is a fun fast paced cozy mystery that never drifts into cutesy though there's a big scoop of noisy neighbors and meddling relatives. The main character is likable and easy to relate to and the mystery is well constructed. All in all a fun read and a series I'm looking forward to continuing! Would I Read More of this Series/Author? Definitely! I really enjoyed the first 2 books in this series and can't wait for the next one. Would I Recommend this Book? Absolutely! If you enjoy mysteries of any kind I think you'd like this series. While you could jump in with book 2 without any problem you really should go back and read the first in the series. It involves a cursed book which is pretty great. Description: Just as a murderer dumps his corpse into the lake across Valley View in Lily Dale, Bella Jordan happens to be at her window, not quite realizing what she's seeing. Unbeknownst to her, the killer spots her silhouette and prowls straight to her door. That is, until he's interrupted by a black cat. A superstitious gambler, he takes off, but Bella's seen too much, and he vows to return. Jiffy Arden, a neighborhood kid looking for the black cat and stumbling across the killer, begins to have premonitions of being kidnapped during the season's first snowstorm. Sure enough, when it strikes, he vanishes, never arriving home from the bus stop. While her son, Max, believes Jiffy has been kidnapped, Bella is convinced he's just wandered off as he typically does... until a body shows up in the lake. Now everyone is pulling out all the stops to find the missing child, identify the victim, and collar the killer. And fast, because he's coming for Bella next in Dead of Winter. 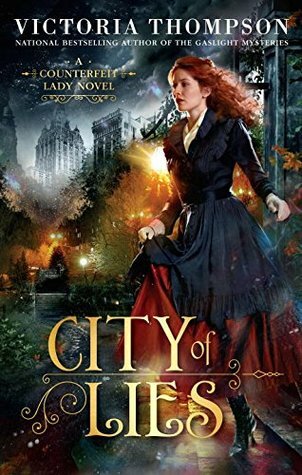 Why I Picked This Book: I really enjoyed the previous book in this this series where Bella and her son are introduced and I'm fascinated by the real Lily Dale so visiting the fictional version is pretty fun. The setting - how fantastic is a town full of mediums as a place for murders to happen? As well, upstate New York in winter allowed the plot to have some pretty crazy snow storm issues that wouldn't have been possible elsewhere. The characters - I love Bella. She's very sympathetic in still dealing with the grief over the loss of her husband and starting to feel the yearning to move on. I love her relationship with her son Max and her balance of belief and disbelief with all the mediums and talk of auras and Spirit and visions. The townspeople are an interesting lot as well and I'm hoping to spend more time with Calla and Misty especially. The mystery - there are really two mysteries here. The first involves a dead body in a lake and the second involves a missing child. I couldn't wait to find out how they were connected and the solutions. The pacing - I flew through this book. I felt completely pulled into the story and really didn't want to put it down. The conclusion - while everything made sense and worked it felt really rushed and not explored enough. It was all wrapped up in the last 10 pages and I really wanted more explanation. It felt very abrupt. Plot holes - I wouldn't say there are massive plot holes but there are several things that feel loosely explained. While this book wasn't flawless I really enjoyed it and am looking forward to revisiting Lily Dale, Bella, Max and all the rest. It's a quick read that's not too cozy or too creepy but a good balance of both. Would I Read More of this Series/Author? Yes! I'm looking forward to reading more in this series and already have several other books by this author waiting on my shelf for me. Would I Recommend this Book? Yes with reservations. I think one of the reasons this worked so well for me is that I really enjoy the author's writing style and if it doesn't for you it might not be as easy to overlook some of the plot holes and abrupt ending. I definitely recommend giving her books a chance. While this isn't the first book in the series you could easily jump in here. 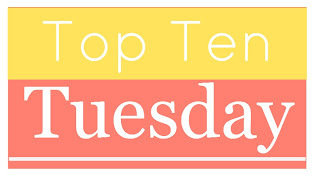 This week's Top Ten Tuesday topic from The Broke and the Bookish is Winter TBR. This topic is repeated seasonally and is one of my favorites. There's almost no chance I'll actually get to all ten of these before spring but I like sorting through all the books I want to read and picking ten! 1. 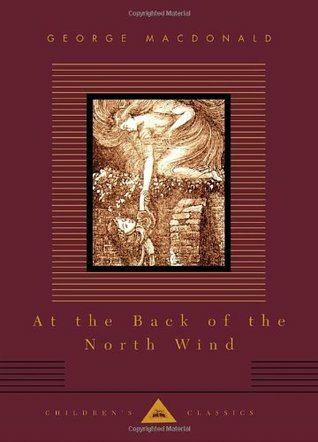 At the Back of the North Wind by George MacDonald - This was my Grandmother's favorite book as a child and she's been telling me that I should read it for decades but I'm a bit contrary and never have. I think this is the time to finally read it. 2. Romancing Mister Bridgerton by Julia Quinn - I've seen several reviews for this one lately and it really has me wanting to reread it! 3. Written in Red by Anne Bishop - I'm trying to read some of the books that I hear lots of raves about but are a little out of my comfort zone and this one sounds really good. 4. Lost on Planet China by J. Maarten Troost - I've really enjoyed his previous two travel memoirs so I have high hopes for this one. Plus, it's been awhile since I've read a travel memoir. 5. Flat Broke with Two Goats - by Jennifer McGaha - I love this title so much! This is a memoir about the author losing her job and ending up in a farmhouse in the Appalachians with two goats. It sounds pretty interesting. 6. 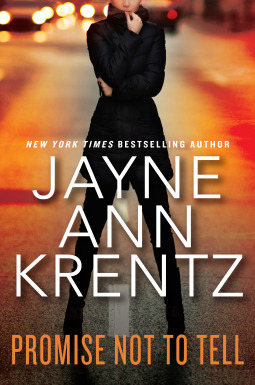 Promise Not to Tell by Jayne Ann Krentz - I love her romantic suspense books and I'm really looking to starting this new one! 7. The English Wife by Lauren Willig - I loved her standalone book from a few years ago entitled The Other Daughter so I'm super excited to read this one. 8. Death and the Viking's Daughter by Loretta Ross - This cozy mystery series about auctioneer Wren and former Marine turned PI Death is quickly becoming one of my favorites so I always look forward to the next in the series. 9. Ginger Snapped by Gail Oust - I love a good Christmas cozy mystery - especially a series involving lots of Christmas cookies! 10. Finding Hope by Stacy Finz - I'm hoping to start making some progress on getting caught up on my overdue ARCs. I was really excited about this one when it came out in January of 2015 so I think it's probably time I read it! What's on your TBR this Winter? Description: A recently divorced woman and her daughter look for a fresh start by moving to a small town that embraces them in ways that only fate and the magic of Christmas can explain. Why I Picked This Book: There's a bookstore. I can never resist a bookstore! And Nancy Naigle is an author I've been wanting to read forever. My Impression: This is a Hallmark movie in book form in the best possible way. The characters and story are developed better and with a bit more nuance but it has that same heartwarming quality. There is an emotional connection between the two characters but more important is their relationship with their children and discovering what truly makes them happy. I really liked Sydney right from the start. She's in a situation she really never wanted to be in and never expected to be in. She's still a bit shocked from the dissolution of her marriage and is trying to hold it together for her daughter. She's trying not to badmouth her ex-husband though he makes it really really hard. I thought Ray Anne felt very authentic for a child whose world just fell apart. She loves both her parents and really just wants things to be like they were. She's angry and guilty and mostly just confused. However, she's also ten years old and forgets all the baggage sometimes in the joy of moments. Mac is pretty perfect. He loves being the prefect Santa and tries to be the best father he can be. He pays attention to his son, is involved in his interests and is trying to be supportive and both mother and father. I enjoyed watching these two come together. They're both such good people who are trying so hard to do the right thing and it was nice to see them rewarded. I loved the community of Hopewell - especially the Book Bea. It's definitely a bookstore I'd love to visit. 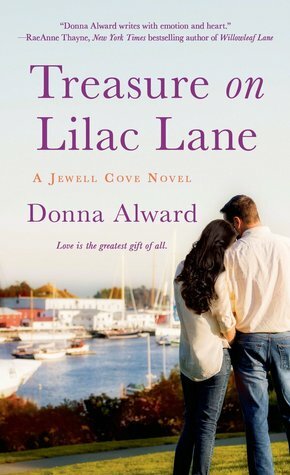 This is a fun sweet read with no heat but lots of emotional connections. It's a nice cozy Christmas read. Would I Read More of this Series/Author? I would. I don't think she's an author I'd necessarily search out but I'll definitely grab her books wen I see them. Would I Recommend this Book? If you can't get enough of the Christmas Hallmark movies I think you'd love this book. I got nothing AGAIN! 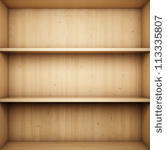 This is the 2nd week in a row and while my TBR pile is relieved about it I'm starting to feel a bit twitchy. I might have to head to the library soon to do some mass book checking out to keep me from going on a book buying binge or requesting all the books on NetGalley. Listening: I'm almost to the end of A Fatal Grace by Louise Penny which is the 2nd in the Armand Gamache series. I've really enjoyed this one so far. Watching: This week was bonkers so there wasn't too much TV watching but J and I started watching The Good Place - the first season is on Netflix - which has Kristen Bell and Ted Danson in it and are enjoying it. It's super quirky and funny. Oh and I got in a Hallmark Christmas movie or two which was fun. Thanksgiving 2017 is in the books and I'm exhausted! The Tornado had the entire week off from school and I had hoped to do a few fun things but it seemed like all the time got swallowed up by errands and to do lists. Our actual Thanksgiving dinner was wonderful and we stayed up far too late talking but it was lots of fun. Saturday was the Iron Bowl and it was quite the game! Auburn one which was really excited though there's an injury or two that makes me nervous for the rest of the season. I did a few errands Saturday morning and it was like a ghost town which was kind of bizarre. I guess everyone was at home getting ready for watching the game. This week is Christmas decorating. I really want to clean out some of the stuff I don't love and kind of decorate a little different than I have in the past years. Whether or not that'll happen - who knows? 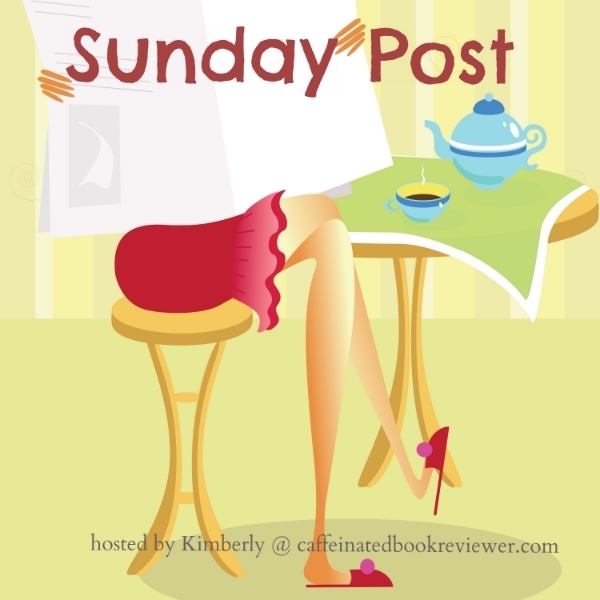 Thanks for all the suggestions on my Tell Me What to Read post Monday. If you have any suggestions for books that I simply must read in 2018 please let me know! 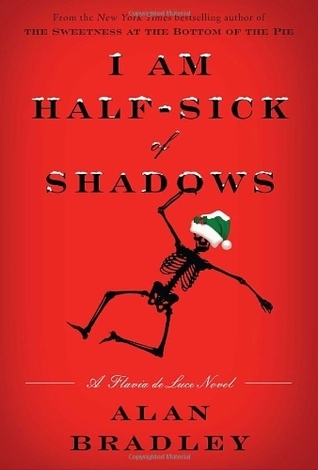 Description: It's Christmastime, and the precocious Flavia de Luce - an eleven-year-old sleuth with a passion for chemistry and a penchant for crime-solving - is tucked away in her laboratory, whipping up a concoction to ensnare Saint Nick. But she is soon distracted when a film crew arrives at Buckshaw, the de Luces' decaying English estate, to shoot a movie starring the famed Phyllis Wyvern. Amid a raging blizzard, the entire village of Bishop's Lacey gathers at Buckshaw to watch Wyvern perform, yet nobody is prepared for the evening's shocking conclusion: a body found, past midnight, strangled to death with a length of film. But who among the assembled guests would stage such a chilling scene? As the storm worsens and the list of suspects grows, Flavia must use every ounce of sly wit at her disposal to ferret out a killer hidden in plain sight. Why I Picked This Book: I thought I'd start off my holiday reading with something a little unusual and it's hard to get more unusual than Flavia de Luce! 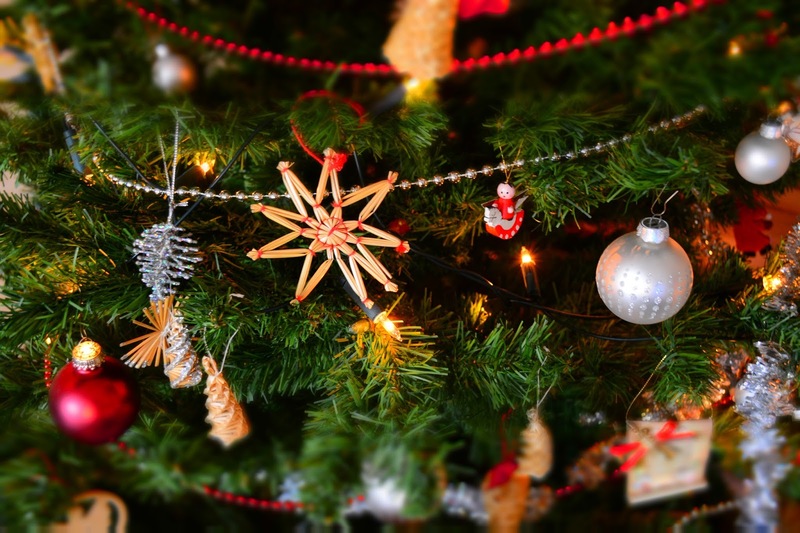 My Impression: Flavia de Luce celebrates Christmas in the way only Flavia can - by creating a glue that she can slather on the chimneys in hopes of catching Santa Claus. While all that's going on Colonel de Luce is trying to solve the family's financial problems (or at least keep the wolf at bay a little longer by renting out Buckshaw to a film company. When the film company arrives the story really gets rolling and Flavia is kept busy sticking her nose into places it doesn't belong and trying to figure out secrets. The murder doesn't actually happen until halfway through the book but I didn't really miss it as I was enjoying all the convoluted relationships. Flavia pounces onto the investigation as I would expect her to do paying very little attention to boundaries and Inspector Hewitt's requests. I really enjoyed her interactions with her sisters and they seemed a little more complicated than the usual just plain mean. I'm not sure if it's Christmas spirit or something a little deeper. This mystery was really a fun read/listen. I do wish the investigation had been a little more fleshed out but I enjoyed all the character interactions. I love seeing Flavia's vulnerable moments when I remembered that she was really just a child and a scared insecure one at that. This is a mystery series that I've really come to enjoy. Flavia is an unusual choice for an amateur detective but so delights in her meddling that it's hard not to love her and get just as involved in the investigation as she does. Audio Note: Jayne Entwistle is her usual magical self giving just the right amount of smothered laughter to Flavia's voice and perfect haughty disdain to Ophelia's. Her narration adds an extra bit of enjoyment to listening to this series. Would I Read More of this Series/Author? Yes! This is a solid mystery series and I'm really curious to see what happens with the de Luce family next. Would I Recommend this Book? If you enjoy mysteries this is a good choice. It's unique and well done. You could start with this book without too much confusion though the previous 3 books are really enjoyable as well. So now that Halloween and Thanksgiving are in the books it's time to turn my mind to Christmas! Now I'm reasonably prepared. My DVR is stuffed with Hallmark Christmas movies and I even have a major gift bought and several ideas mapped out. This may not be a big deal to some people but it's huge to me! I'm a notorious last minute frazzled mess hoping that Amazon Prime 2 day shipping REALLY means it! But since I'm feeling pretty good about shopping and my TV needs are covered I'm not spending some time thinking about Christmas books! My list of requirements for Christmas books are very specific. I want heartwarming and happiness, characters I love, and at least one mention of gingerbread. Here's a list of ten Christmas books I'm really hoping to read this year! 1. 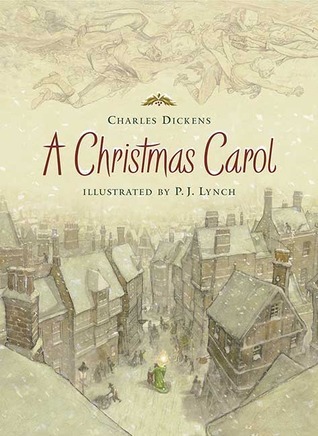 A Christmas Carol by Charles Dickens - I've seen this story in play form and movie form more times than I count and I've decided this is the year that I'm going to read the book itself. My history with Dickens is a little dicey but this is short and I love the story so I have high hopes. 2. 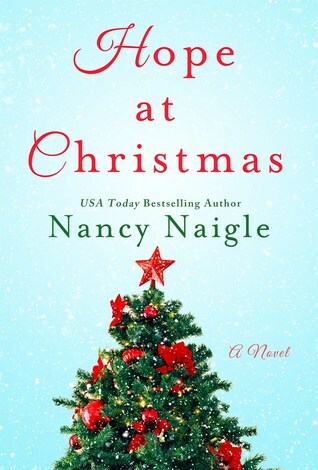 Hope at Christmas by Nancy Naigle - There's a woman starting over, a decaying farmhouse, and a bookstore. Throw in some Christmas cheer and a little bit of romance and this is the kind of book that just must be read when it's cold outside! 3. Rest Ye Murdered Gentlemen by Vicki Delany - While I love a heartwarming Christmas romance a holiday themed murder is pretty great too. I've enjoyed other books by Delany and this series set in a year round Christmas town sounds like so much fun! 4. Dashing Through the Snow by Debbie Macomber - I've watched a number of Macomber's Hallmark Christmas movies but haven't read nearly enough of her books. This one about strangers forced to share a rental car sounds like it has plenty of humor and plenty of heartwarming moments. 5. Christmas in Snowflake Canyon by RaeAnne Thayne - RaeAnne Thayne's Christmas stories are pure magic! I actually don't know very much about this one other than I haven't read it! 6. 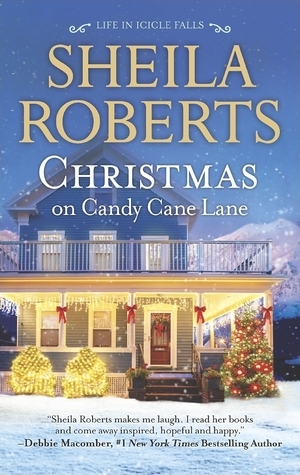 Christmas on Candy Cane Lane by Sheila Roberts - This is another one that I don't know much about but the title just makes this one impossible to pass up! 7. Seven Days of Us by Francesca Hornak - A dysfunctional family story sounds like a lot of fun and the holidays bring out the dysfunctional in all of this. Throw in some forced togetherness and this sounds like a lot of fun! 8. Winter Solstice by Rosamunde Pilcher - This is actually a reread but it's been a long time since I've read it and I really want to revisit it. 9. Snowflakes and Coffee Cakes by Joanne DeMaio - DeMaio has been on my TBR for far too long and this may be the book I start with. It's about the main character taking a risk to find happiness and there's some home renovation which always make me happy! 10. Thread the Halls by Lea Waite - Another holiday murder! This is one of my favorite cozy mystery series and one that I'm several books behind on. I'm really looking forward to catching up with this one! What Christmas books are you looking forward to this year? Description: Nestled on the shore of Lake Sackett, Georgia is the McCready Family Funeral Home and Bait Shop. (What, you have a problem with one-stop shopping?) Two McCready brothers started two separate businesses in the same building back in 1928, and now it’s become one big family affair. And true to form in small Southern towns, family business becomes everybody’s business. Why I Picked This Book: I've read one book by Molly Harper and really enjoyed it. I wanted to try her again but am a little scared of werewolves and the like so this completely unsupernatural book looked like the perfect choice! My Impression: Well that was fun! I loved Margot right from the start though she isn't always the most likable person - especially at the beginning. The shrimp tower disaster was hilarious and while I don't consider myself a particularly violent person, I think she showed considerable restraint in not punching the chef hard in the nose. And when she ends up in small town Georgia there was definitely a whole lot of hilarity and a giant helping of quirkiness. I loved the McCready family. Margot isn't quite sure where she fits when she first lands in Lake Sackett and frankly isn't quite sure she wants too. However, doing a good job is important to her and she's a hard worker so that seems to give her a little something to help get her bearings. She doesn't always understand how things are done but she tries. All the aunts, uncles, and assortment of cousins really add to the fun and I desperately want to go hang out with Duffy, Frankie, and Marianne. And while I'm not a huge fan of fried food I'd definitely give some of Aunt Leslie's creations a try. While the relationships formed quickly and naturally between Margot and most of her family her relationship with her father was a little more tricky. I really loved how Harper developed both characters and how they interacted. It felt very natural though heartbreaking at times. I really liked the relationship between Margot and Kyle. Neither one of them has any desire to be in a serious relationship and their reasons are decidedly real. I'm not typically a big kid person in romances but Kyle's children were really cute without being obnoxious and I enjoyed all their page time. The banter is perfection and the relationship felt wonderfully real. I really enjoyed this read. It's quirky, fun, and all about family connections and figuring out what really makes you happy. I'm so glad that this is going to be a series and can't wait to see where Harper takes it next. Now I'm off to change my name to McCready and go find Lake Sackett! Would I Read More of this Series/Author? Absolutely! I've been wanting to read more Molly Harper for ages and I'm excited to see where this series goes. Would I Recommend this Book? If you like small town contemporary romances do not miss this book! Description: When the Briar Creek Public Library holds its first overdue book amnesty day—no fines for late returns—the volume of incoming materials is more than Lindsey and her staff can handle. In a bind, Lindsey drafts the crafternoon ladies to help check in and sort the stacks of books. Why I Picked This Book: This was always one of my favorite cozy series though I've sadly neglected it over the past few years. So when I was offered this one I couldn't say no - plus there's a 20 year old over due library book that leads to an unsolved murder. How could I pass that up? My Impression: Honestly this book just made me want to go hang out at my local library all day. Granted, there's WAY less murder solving (that I know of anyway) around there but I love all the bookish talk and just the day to day business of running a library. I love the dynamic between Lindsey and the other librarians and the patrons and I adore the book mentions. I was predisposed to like this mystery - I mean a 20 year overdue library book kick starts a cold case? What's not to like! And for the most part it didn't disappoint. I loved how the mystery played out and was really not sure just how it was going to unravel until the very end. There were a couple of minor points that were rushed just a little but they weren't directly related to the conclusion so it wasn't really a problem. With most cozy mysteries it's the characters that really make a series shine and this series is no exception. I love Lindsey. She's competent and funny and genuinely kind. As well she is incredibly nosy but owns it. I enjoyed that this book had both current Police Chief Emma Plewicki as well as former Police Chief Daniels. The retired and the current law enforcement added an interesting angle and sounding board to Lindsey's investigation. As usual children's librarian Beth was a complete delight and I just wish she was in charge of story time at my local library. Ms. Cole is the perfect balance of nemesis - enough for entertainment but not so much where it gets annoying. There is a decent amount Lindsey's personal life but it never overtakes the mystery and the only way I think it would be an issue is if you were new to the series and weren't already invested in the lives of Lindsey and her friends. This is a fun cozy mystery series that takes place in a library! It's hard to be better than that. The cast of characters never fails to delight and the mystery never fails to entertain and I'm already excited for my next visit. Would I Read More of this Series/Author? Absolutely! I have the next book in the series on my shelf already and am so excited to read it! Would I Recommend this Book? If you enjoy cozy mysteries I think you'd enjoy this series. This week's Top Ten Tuesday topic from The Broke and the Bookish is Ten Books You're Thankful For. I tried to pick 10 books that changed my reading experience in some way! 1. 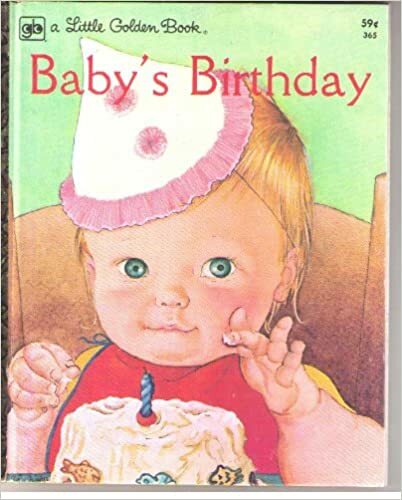 Baby's Birthday by Patricia Mowers and Illustrated by Eloise Wilkins - I think this was my really my first favorite book. I adored it and requested it to be read to me for YEARS. My parents haven't spoken to each other in probably a decade but the instant the title of this book is mentioned to either of them they immediately say in a very sing song voice "Wake up baby! It's your special day!" 2. The Secret of the Old Clock by Carolyn Keene - Nancy Drew introduced me both to mysteries and really big series and I'm still a fan of both! 3. The Secret Adversaries by Agatha Christie - When I first discovered Agatha Christie I was a bit meh about her. Some of her mysteries seemed a bit dry. But then I discovered this first book in the Tommy and Tuppence series and fell completely in love. This series is probably my least favorite now but it was what really pulled me to Agatha Christie. 4. Devil's Bride by Stephanie Laurens - I was probably in my early 20s when I started reading romances. I had resisted the genre for years but when I started reading this one I was completely pulled in and became hooked on the genre. I reread it a few years ago and wasn't really impressed with it but at the time I was enthralled. 5. Simply Irresistible by Jill Shalvis - While I had discovered the romance genre through the above book I was almost exclusively a historical romance reader. I read Nora Roberts contemporaries but that was about it. Shalvis was the first small town romance authors I tried and I've been hooked ever since! 6. 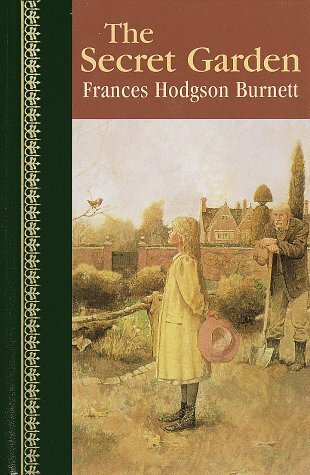 The Secret Garden by Frances Hodgson Burnett - I had only read Middle Grade fiction that my children were reading for years but when I first got my Kindle I was browsing the free books and came across this childhood favorite. I didn't go in with high hopes as not all books are equally enjoyable for adults as they are to children but I ended up loving it. It was a big push to get me back to reading Middle Grade. 7. The Shell Seekers by Rosamunde Pilcher - I adored this book. I read it so many times that my original copy fell apart and then my replacement copy fell apart too. I loved Penelope and life on the homefront during WWII and the way the story was told in almost a series of vignettes. This book doesn't have quite the same effect on me that it used to but I love it still. 8. The Hiding Place by Corrie Ten Boom - A friend of mine handed me this book and said I had to read it. I let it sit on the shelf for ages because it didn't really appeal to me but when I started I found it an incredible story and heartbreakingly sad but so full of hope as well. It's a good book to read when I need a perspective tune up. 9. 84 Charing Cross Road by Helene Hanff - I think this was the first book that got me really thinking of the books themselves and not just the stories. I would love to see some of the editions she talks about. 10. Don't Let the Pigeon Stay Up Late by Mo Willems - I'm thankful to this book because of the Tornado. He had no trouble learning to read but his interest just wasn't very high. That is until he discovered Mo Willems. His favorite is really the Gerald and Piggie books but this was the first Willems book we checked out of the library so I'll always have a bit of a soft spot for it. Somehow we are flying towards the end of 2017 which just doesn't quite seem possible. And somehow it's time to start thinking about what I'm going to reading in 2018. This part is weird because 2018 still sounds like a fictional year to me. Something out of a science fiction book or a date when you really just mean impossibly far away. But regardless of that 2018 is really just a few weeks away and I have to start doing some reading planning! The past few years I've picked 5 books that are a bit outside of my comfort level - pretty much anything in the fantasy, science fiction or YA genres. Some have been huge hits and others not so much but it's been very much a learning experience and I've really enjoyed broadening my reading just a little. For 2017 I picked 12 Middle Grade books and 12 books that I'd been wanting to read for ages but just never made the time. This had me reading books like In the Woods by Tana French, A Week in Winter by Maeve Binchey, and The Lake House by Kate Morton. I've really enjoyed it and it's been nice to get a few of the "I really want to read that" books off my list. But now it's time to make my lists for 2018 and I need some help! For Middle Grade I'm reading some more of the series I've started this year like Tuesdays at the Castle by Jessica George and finishing up the Melendy family series by Elizabeth Enright. But what Middle Grade books do I need to add to my list? I'm looking for both classic and recent. 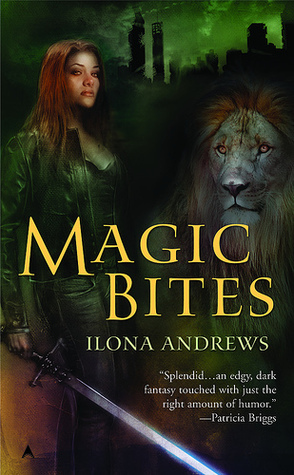 For my "Out of the Wheelhouse" books I'm thinking of reading something by Illona Andrews but not sure which one and have had a hard time thinking of other choices. Maybe The Martian by Andy Weir? I've seen the movie but that doesn't count. As for books I've wanted to read for ages I'm thinking a Liane Moriarty book but am not sure what else. So tell me - what book do I need to read? I'm open to any genre and any age. Really any book that just needs to be read in 2018! Nothing! I got nothing! I'm very proud of myself! Watching: Not much though I'm hoping to get in some Hallmark Christmas movies soon! A miracle has happened! I have actually bought a Christmas present before Thanksgiving! And it's the Tornado's primary gift so that's a huge relief. I've also got some ideas for some people on my list that are always hard to buy for so I'm feeling pretty good about gift buying this year. This past week was a bit crazy. I got back in town on Wednesday and then the Tornado was home sick Thursday. I'm feeling like I'm going to be scrambling a bit to get ready for Thanksgiving and it doesn't help that the Tornado will be out of school all week. I'm not too sad that I won't have to get up early though. We actually celebrate Thanksgiving on Friday so no one has to have 2 dinners in one day. It makes for a more relaxed time because no one is having to duck out early or arrive late and we always have a lot of fun. It also gives me an extra day which I'm clearly in need of this year. This is a bit of a second chance romance. Years ago there was an "almost" moment between childhood friends Jess and Rick. Then Rick left for the Marines and Jess went on with her life. Now they're both back in Jewell Cove with a lot more baggage than the young hopefuls they were before. Mary Whitsun grew up in an orphanage and knew nothing about her past. She's a hard worker, full of common sense, and is very happy as a nursemaid for a patron of the orphanage she was raised. That is until a chance encounter with Henry Collins, Viscount Blackwell throws everything she knows about herself and everything she's ever wanted into question. 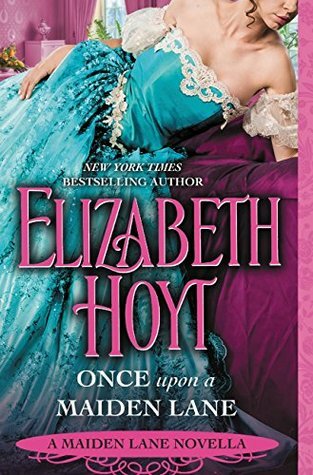 This is my second book by Elizabeth Hoyt and I am in love! This was light and sweet with a good dose of heart. I love a mistaken identity and I love even more a mystery about an identity. I also loved the characters - especially Mary. She's so self-aware and so practical but it was sweet how happy she was to have potentially found her family. Henry is intelligent and a good match for Mary. I loved watching them banter and get to know each other. If you're looking for a feel good romance that isn't just a fun romp than I think either of these would be great choices! If you had an authors-only Thanksgiving party, who would you invite? This is a tough one! Agatha Christie of course. I'd love to hear all about her life and just about her books in general though I'd have to be very careful not to ask where she got her ideas because she hated that. Dorothy L. Sayers would be fun as well. Her style is very different than Christie's but I love her twisty mysteries and I have no doubt that there's a biting sense of humor there. And speaking of humor I think I'd have to invite Douglas Adams. I adore his humor and his ability to turn the most mundane scenes into madness. While not really a party this sounds like it'd make for a highly entertaining evening so I'll just leave it at that. 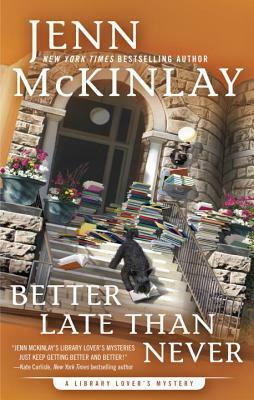 This week's book is Better Late Than Never by Jenn McKinlay. It's the seventh book in her Library Lover's series which is probably my favorite. I'm a little behind on the series but this one involves a 20 year old overdue library book with connections to an unsolved murder so I just couldn't resist! "Let the wild rumpus start!" Beth Stanley cried as the cart of books she had stacked to bursting abruptly regurgitated its contents all over the Briar Creek Public Library's main floor with a loud rushing noise followed by slaps and thumps as the books landed on the ground. I'm sure I'd change my mind pretty quickly if I had to do it as part of my job but sorting through all these books sounds really fun! "Ms. Cole, call 9-1-1," Lindsay said. I've gotten to know Ms. Cole a little as the series has gone but this seems pretty cold even for her! So what do you think? Keep reading? Who would you invite to dinner? A harrowing psychological thriller about a missing teenage boy whose mother must expose the secrets within their own family if she wants to find her son—perfect for fans of Reconstructing Amelia. You love your family. They make you feel safe. You trust them. Or do you…? When fifteen-year-old Billy Wilkinson goes missing in the middle of the night, his mother, Claire Wilkinson, blames herself. She’s not the only one. There isn’t a single member of Billy’s family that doesn’t feel guilty. But the Wilkinsons are so used to keeping secrets from one another that it isn’t until six months later, after an appeal for information goes horribly wrong, that the truth begins to surface. Claire is sure of two things—that Billy is still alive and that her friends and family had nothing to do with his disappearance. A mother’s instinct is never wrong. Or is it…? 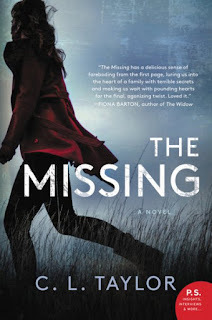 Combining an unreliable narrator and fast-paced storytelling, The Missing is a chilling novel of psychological suspense that will thoroughly captivate and obsess readers. My Thoughts: I'm a bit torn on this one. I didn't dislike it - in fact I found page turning and flew through the almost 500 pages incredibly quickly. When I picked it up I was pulled into the flow of the story very quickly and was supposed to be one chapter could easily be ten if I wasn't careful. The atmosphere oozed tension and I found the way the family was disintegrating complelling. C. L. Taylor is a Sunday Times bestselling author. Her books have sold more than a million copies and have been translated into twenty-one languages. She lives in Bristol, England, with her partner and son. Find out more about C. L. at her website, and connect with her on Facebook, Twitter, and Instagram. Description: An elderly family friend commissions Frances to find Helen, a stunningly beautiful actress who vanished 30 years ago. Taking on the role of the Lady Sherlock, with her loyal maid Mallow drafted as her Watson, Frances immerses herself in the glamorous world of Edwardian theater and London's latest craze—motion pictures. 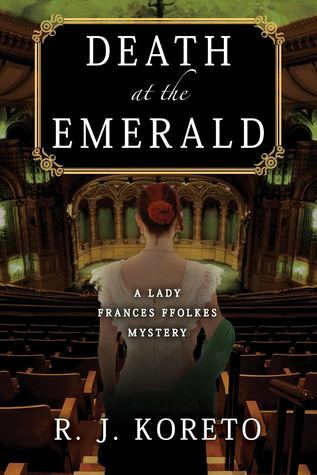 Frances' first stop is the venerable Emerald Theatre, where aging actors are still in love with the memory of the beguiling Helen. It seems like a dead end—but one of Helen's old suitors is suddenly murdered. Frances and Mallow beat both the police and killer to a box of subtle clues. However, a stalker, another old suitor of Helen's long presumed dead, threatens them. Will Frances' latest hobby, a study of Japanese martial arts, be enough to save them? Undaunted, Frances and Mallow follow their leads, and along the way get some advice from George Bernard Shaw, star in a motion picture, and joke with King Edward VII. Clues eventually lead them to a forgotten grave outside of London, which contains a mysterious biblical inscription--and a shocking secret. Frances finally assembles the pieces, and with Mallow as stage manager, produces her own play to uncover a decades-old conspiracy, reveal a killer—and find the remarkable Helen. Why I Picked This Book: I really enjoy historical mysteries and can never resist a missing persons case - especially not one 30 years old. 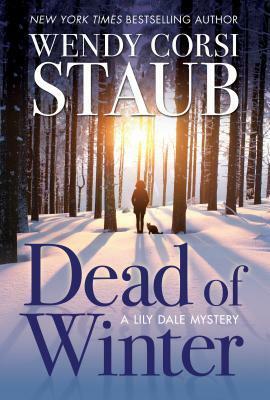 My Impression: I have had quite the winning streak lately with mysteries and I am pleased to report that this latest read kept that streak firmly alive. While I love a historical mystery they can at times be a little dry and a little slow. This was neither. I was immediately pulled into Lady Frances' world and couldn't wait to find out just what had happened to Helen all those years ago. Lady Frances is an interesting detective. She is very much of the aristocracy and has no qualms about using her status and connections to help her case. She is very much aware that her behavior is at best unusual and at worst incredibly scandalous but simply chooses to ignore this. Her relationship with her maid/assistant Mallow is also on the unusual side. While Mallow is much more traditional than Lady Frances she is a good investigator in her own right and I enjoyed the brainstorming sessions and other interactions between maid and mistress. The mystery is highly entertaining and incredibly engaging. While I had theories on some aspects I was completely in the dark about others. When it all came out I was just as surprised as any character in the book. This was my first book in the Lady Frances Ffolkes series but it will not be my last. I'm glad I have the previous two books to catch up on while I wait for the fourth. Would I Read More of this Series/Author? Absolutely! I'm already looking forward to visiting Lady Frances' world again. Would I Recommend this Book? If you enjoy Victoria Thompson or Laurie R. King's Mary Russell series I think you would enjoy this one. I had no issue jumping into the series with this book. 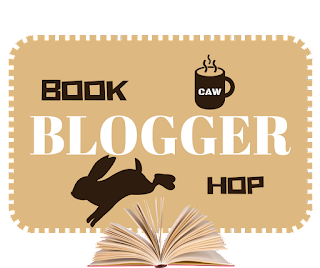 This week's Top Ten Tuesday topic from the Broke and the Bookish is Books I Want My Children to Read. I've always been a reader and I think that's been a valuable gift because it's something you always have with you. When the outside world doesn't seem to be very nice, when your life isn't going quite the way you want it or when you just want a little entertainment there's always a book. The biggest gift I think that I can pass on to my children is a love of reading and these are 10 books that I think can help do just that. 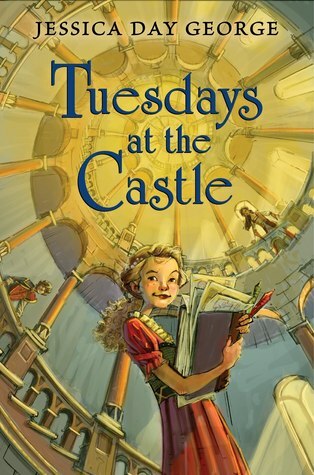 Tuesdays at the Castle by Jessica Day George - I didn't discover this one until I was adult (and it wasn't published until I was an adult so it would have been hard to find when I was a child) but I absolutely loved it and can't even begin to imagine how much it would have pulled me in as a child. Rilla of Ingleside by L.M. Montgomery - I discovered this one when I got the box set of Anne books when I was 11 or 12. I was highly dubious about this one before I started it because who was this Rilla person anyway? I ended up loving it. There's not many books that show what life was like on the home front during World War 1 through the eyes of a teenage girl and none with such a realistic feel. This is my favorite Anne book to reread as an adult as well though I have been known to ugly cry through quite a bit of it. The Westing Game by Ellen Raskin - This complicated and fun mystery has a little something for everyone. Besides the mystery there's all kinds of interesting characters and it a book that's easy to become involved in. Summer of the Woods by Stephen K. Smith - This is for the younger set - think 2nd to 4th grade - but I think they'd really enjoy it. 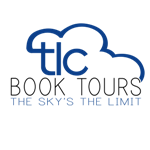 There is a bit of history involved but it's mostly about a group of kids solving problems and having adventures. 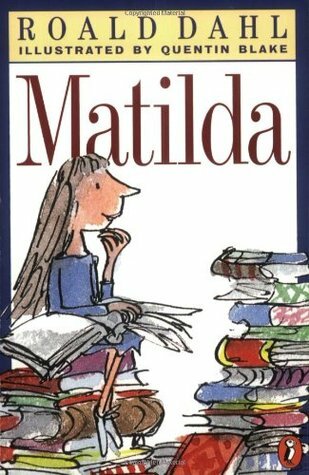 Matilda by Roald Dahl - I don't think I need to explain this one! Somehow I didn't read this one until I was an adult and the bookworm child in me is very sad I didn't read it as a child. Little House in the Big Woods by Laura Ingalls Wilder - I remember being fascinated with Laura's life in this book. It's so foreign from everything I know that I couldn't help but be captivated. The Secret Garden by Frances Hodgens Burnett - The secret garden, the rambling empty house, making new friends and creating a world where you fit in. What's not to love for a young (or adult) reader? Chitty Chitty Bang Bang by Ian Fleming - This is just a straight up adventure story with gangsters and a flying car. The Lion, the Witch and the Wardrobe by C.S. Lewis - While I didn't love all of this series as a child I adored this book and think it's probably the most child friendly. Ophelia and the Marvelous Boy by Karen Fowler - There's a rambling museum which the children have complete access too, a mysterious boy who is hiding from danger, and a very very evil woman hiding behind a beautiful mask. It's a modern day fairy tale with an almost Gothic feel. What children's books captured your imagination as a young reader? What books would you want your children to read? Megan Sawyer is determined to farm year-round. She’s braving a December snowstorm after pitching her greenhouse greens to Philadelphia chefs when she sees a stranger stranded on the side of the road. It’s Merry Chance’s niece Becca, who’s headed to Winsome to sell her “love potions” at holiday events—or so she thinks. 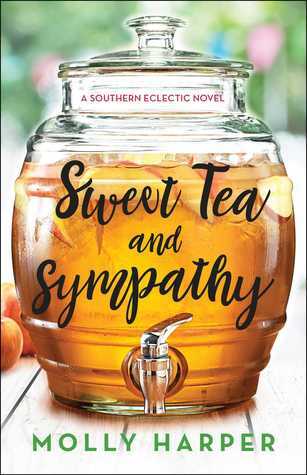 Merry has an ulterior motive in inviting her niece to Winsome, but Merry’s plan to reunite Becca with her estranged father goes awry when Becca’s father turns up dead. Megan soon realizes that Becca was not the only person in Winsome who despised her father. When Megan’s aunt, the famous mystery author, is implicated through her novels, things become personal. Megan must follow the literary clues while sifting through the victim’s sordid past, but can she uncover the truth before someone else in Winsome is murdered? Why I Picked This Book: I've really enjoyed previous books from Wendy Tyson and this series really appealed to me. My Impression: I had heard rave reviews for this series about lawyer turned organic farmer Megan Shaw and it definitely lived up to the hype. Megan's a likable amateur detective. She's not intrusive but is curious and doesn't resist too much when the main suspect's aunt asks for her help in the investigation. As well, the police chief, Bobby King, uses her frequently as almost a consultant so it felt very natural that she'd get involved. I was caught up not only in the mystery but in Megan's world right from the start, This is a town I'd want to visit (minus the surplus of violent crime of course) and I would love to eat at the cafe with Clover and the rest of the residents of Winsome. The mystery was well paced and very intriguing and I was really clueless about The Who and the Why until the end when it all made sense. The mystery itself was complex but not convoluted and I don't think I've ever read anything quite like it before. 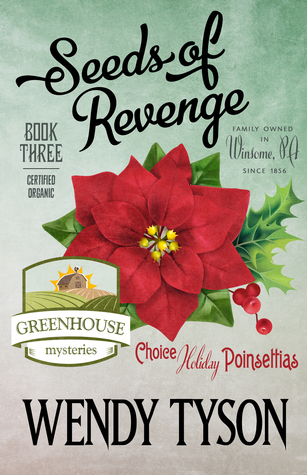 This is the 3rd book in the Greenhouse Mystery series but I had no problem jumping in here. I thought the characters were distinct and vivid enough that I had no trouble keeping them straight. There are a few mentions in passing conversation regarding Megan's relationship with her mother which is probably explained in an earlier book but I didn't feel that that distracted from the plot or the characters in anyway. 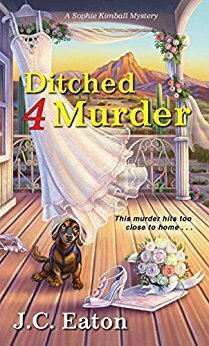 This was a fun and unique cozy mystery with a main character I'd love to be friends with. I can't wait to read more from the series! Would I Read More of this Series/Author? Absolutely! I'm looking forward to reading more from this author and especially more in this series. Would I Recommend this Book? If you enjoy a good cozy that isn't too cutesy this series would be a great choice. Last week I had an empty shelf and I had planned to have another one this week but things went terribly wrong but in the most fun of ways! I thought about going on a book buying binge just to see how many books I could get in a week but I restrained myself! 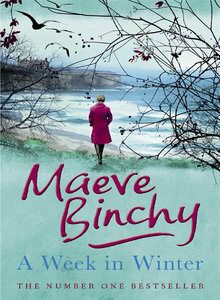 Listening: A Week in Winter by Maeve Binchy. I'm loving this so much! Watching: I'm in Mississippi this week so most likely I'm watching some classic movies. I know Key Largo with Humphrey Bogart and Lauren Bacall is on the list but not sure what else. Next week J and I are planning on starting Stranger Things and I'm super excited. I'm in Mississippi this weekend visiting my grandparents and spending Veteran's Day with my favorite veteran. This is my Grandfather in 1943 just home from training with bright shiny wings pinned to his uniform. He said at the time he had absolutely no fear and just wanted to fly. And that he and the other pilots thought they were pretty great! He stayed in the Army for the rest of his career with a tour in Korea and some time off to have a very good time at Ole Miss on the GI bill. He's had a rough year with his fall and all but he's doing so great now and we've had such nice visits. It's hard to believe he's fast approaching his 94th birthday. Everything else is much as usual. Not much going on other than I'm chronically behind but I'm catching up little by little! I've been LOVING every book I've read in the past week or so which is so much fun. I love when I get on a good reading streak! Description: The usually quiet town of Granford, Massachusetts, is even drowsier during the colder months. But this year it’s in for a jolt when Monica Whitman moves into town. She’s a dynamo who wants to make friends fast in her new home, and she throws herself into community activities. Meg Corey, now Chapin after her marriage to Seth Chapin, is intrigued by the new arrival, who has already sold the town board on a new, fun way to bring in visitors during the off-season: WinterFare, which will feature local foods (such as Meg’s apples) and crafts, as well as entertainment. Why I Picked This Book: This is one of the first cozy mystery series that I discovered and it has been a favorite ever since. 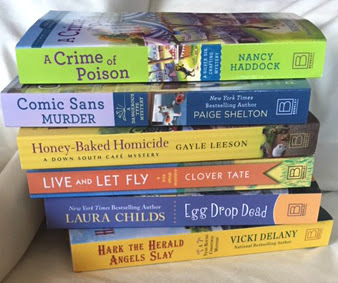 My Impression: One of the best things about cozy mystery series is the feeling of visiting old friends every time you open the next book. Meg and Seth are two of my oldest book friends and I was really excited to see them starting this new chapter of her life. I liked that they were still kind of figuring things out and learning how to work as a team. This book starts out just as Meg and Seth are returning from their honeymoon and right away regular life manages to pull them back in. Meg has to deal with the hiring of a new orchard manager, the rather unfriendly Larry and Seth is back in the chaos of town affairs helping to organize the new WinterFare which was suggested by new town resident, Monica. Right away I knew Monica's days were numbered. New residents in cozy mystery towns have a life expectancy of about a day and a half. It takes awhile for the murder investigation to really get going and it was kind of fun watching Meg really try to stay out of it yet manage to fall into the middle of it time and time again. The official investigation is very much background as it's being handled by the state police and the long suffering Art, the police chief of Granford, is only really in a consulting role. However, that doesn't keep Meg and Seth and any number of friends and family from discussing what's going on, what could have happened, and everything else about the murder that they can think of. I really enjoyed this method of investigation. It was believable that a murder in a small town would be the number one topic on everyone's minds and believable that Meg and Seth would be involved in this way without actively interfering in a police investigation. This is a really fun cozy series with characters I really enjoy spending time with and a setting I wish was real so I could visit. I adore the apple orchard aspect though it does make me want to chase down all kinds of unusual varieties of apples just to try them! This is perfect cold weather cozy mystery reading with perhaps a cup of hot apple cider and a piece of apple cake nearby. Would I Read More of this Series/Author? Absolutely! I'm looking forward to the next book and catching up on the books I've missed. Would I Recommend this Book? If you enjoy cozy mysteries this is a good series that I've found to be really solid with a great community feel. What is your favorite part of blogging? Is there a least favorite part of blogging? My absolute favorite thing about blogging is the community. I love "talking" to other book loving people. There really isn't a least favorite but if I had to say something I do read more on a schedule than I used too. This week's book is the newest from a favorite - A Late Frost by Sheila Connolly. 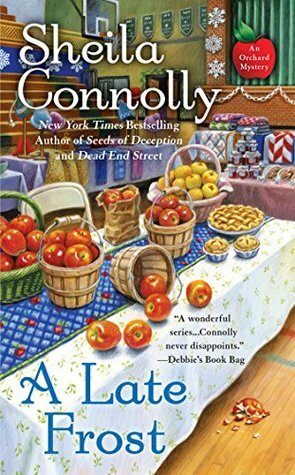 Connolly's Apple Orchard series is one of the first cozy mysteries I discovered and I've been really enjoying it ever since! "Did we celebrate Christmas this year?" Meg Corey Chapin asked her still-newish husband, Seth. When you can't remember if you've celebrated Christmas that's probably a sign that things were pretty chaotic. He wasn't a child, and there wasn't anything in progress that he might need help with. Why was she feeling oddly protective of him? Just from this it's hard to tell what's going on here. Does the person being spoken of need protection for any reason? Description: Callie Reed makes a long overdue visit to her aunt Melodie, who lives in a fairy-tale cottage in quaint Keepsake Cove, home to a bevy of unique collectible shops on Maryland's Eastern Shore. Just as they're beginning to reconnect, Callie discovers her aunt's body on the floor of her music box shop. Grief-stricken, Callie finds she can't accept Melodie's death being called accidental. How could her strong and healthy aunt take such a fatal fall? And why was she there in the middle of the night? Why I Picked This Book: I've been wanting to read this author for ages and this new series sounds like a lot of fun. Plus, I love music boxes and love the idea of a whole store full of them. My Impression: Oh I really enjoyed this one! The book starts with Callie coming to visit her Aunt Mel though the visit doesn't last very long as Callie finds her aunt's body shortly after her arrival. I liked that Callie didn't go immediately on a mission from the start. Something about her aunt's death didn't sit quite right with her but she didn't immediately decide to interrogate everyone her aunt ever knew. Her reaction felt very natural and was one of the reasons she was so easy to like. This is the first book in the series so there's a decent amount of setup but it's such fun setup! There are a lot of characters in Keepsake Cove. I love the idea of a little cove of collectible shops and it sounds like it'd be so fun to explore for a few days. Each shop has an owner and each owner has their own distinct personality. As well there are Shop Owner's Association politics and the usual rumor mill. However, while sometimes the setup can overwhelm the book and feel a little tedious this never feels anything but delightful. I loved getting to know everyone in Keepsake Cove and getting a feel of the community and I'm already really excited to visit again. The mystery was entertaining and well done. There are plenty of suspects and so much of what happens could be explained away by less sinister explanations which has Callie wondering if there really is anything to worry about. There are several suspects and while I had a pretty good idea on the "Who" I had no clue on the "Why". This is a cozy mystery in the very best sense of the word. Callie is someone I'd like to be friends with, Keepsake Cove is a place I'd love to visit, and the mystery was well paced and entertaining. This was a delightful and fast paced read and perfect for a cozy evening. Would I Read More of this Series/Author? Absolutely! 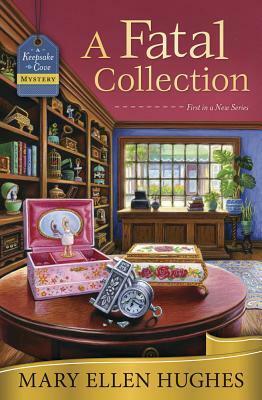 I already have several other books by Hughes on my shelves and I'll be looking for the next Keepsake Cove mystery. Would I Recommend this Book? Yes! If you enjoy cozy mysteries I think you'll really enjoy this new series. Why I Picked This Book: I've been wanting to read Thompson's books forever and when I was offered this first book in a new series I couldn't resist. Plus, I love the 1920s time period. My Impression: If you're in the mood for a straight up historical mystery than put this book down and walk away. This is most definitely not the book you're looking for. However, if you're in the mood for a fast paced heist style book with a helping of history and a twist of romance this is the book for you. I had read a few reviews of this one before I picked it up and knew not to expect a mystery which I think really helped my enjoyment. And my enjoyment was high. I really liked Elizabeth. She's smart, quick on her feet, and good with a con. However, she can't help but feel affection and loyalty to her new group of friends and struggles with those very new emotions. I liked that she doesn't immediately go on the straight an narrow and her ways of solving some of her problems (especially where her luggage is) had me laughing. As a villain I'm not sure they get more villain-y than Oscar Thornton but it wasn't overdone or comical. He was a man who always got what he wanted and had never felt the need to check his impulses which made him very dangerous. I loved Mrs. Bates and Anna though I wanted to know more about Anna. There were a few hints about her that were never fully explained and I'm hoping that will be explored in a future book. The male characters - Gideon and David - were somewhat one dimensional (especially David) but I did enjoy the contrast between them. My absolute favorite part of this book was the history on the suffrage movement. Like everyone else I've done the basic reading is school and may have read a little bit of Susan B. Anthony but this really made everything come alive. I could feel the determination of the women and what they were up against as well as the horrific conditions in the work house where they were sentenced. I enjoyed Thompson's note at the end detailing her inspirations for this part and it has made me want to do more reading on the subject. My only issue with this novel, and it is very very minor, is that Elizabeth is just a little bit too perfect. Everyone who meets her either falls in love with her or takes her immediately under her wing. It didn't affect my enjoyment of the read but there were a few "really?" moments when yet another character is professing their love. This is a fun, fast paced read with likable characters. It does an amazing job of bringing an incredibly important moment of history vividly to life. I'm hoping to see more of these characters. I have a feeling they have lots of stories to tell. Would I Read More of this Series/Author? Absolutely! I will be looking for more books featuring Elizabeth and I already have several books from the authors "Gaslight" series on my shelf. Would I Recommend this Book? I absolutely would. If you enjoy historical fiction - mystery lover or not- I think you'd enjoy this book.